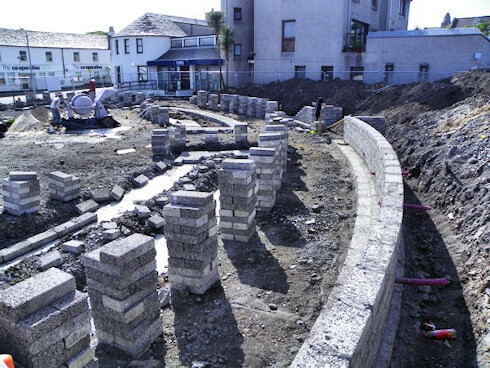 At the end of May Ron published an article from the Ileach with a drawing of the plans in Bowmore Town Centre Improvements. 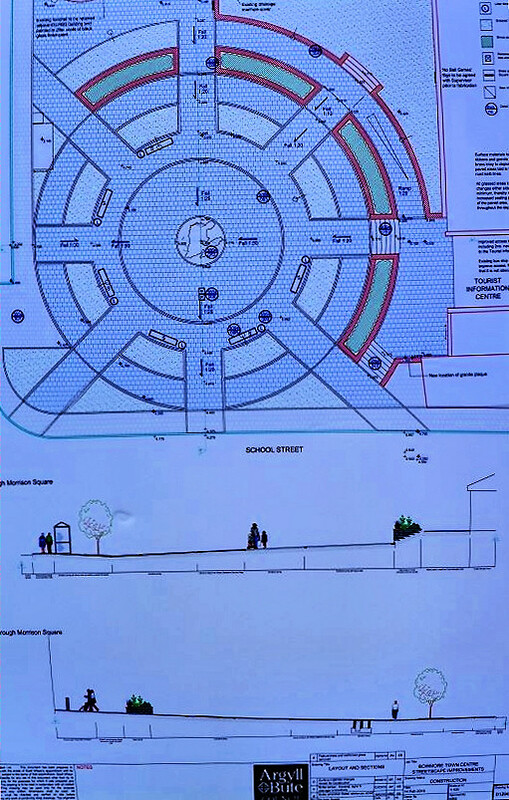 There is now an information board with some more detailed drawings, here is a part of the board with a quite detailed drawing of how the square will look. Looks quite promising I think. I wonder what the circle in the middle of the square is, looks like it has some kind of map of Islay on it?